This item can only be shipped to North America - No exceptions! 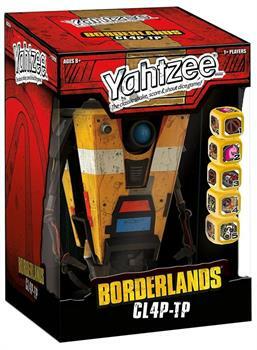 Borderlands' favorite general purpose robot is ready to play Yahtzee!A Play the classic game of Yahtzee with your very own custom Clap Trap robot dice shaker cup and roll with Borderlands dice.A Highly collectible and a perfect gift for Borderlands fans. Officially Licensed. For 2 or more players. Borderlands' favorite general purpose robot is ready to play Yahtzee! 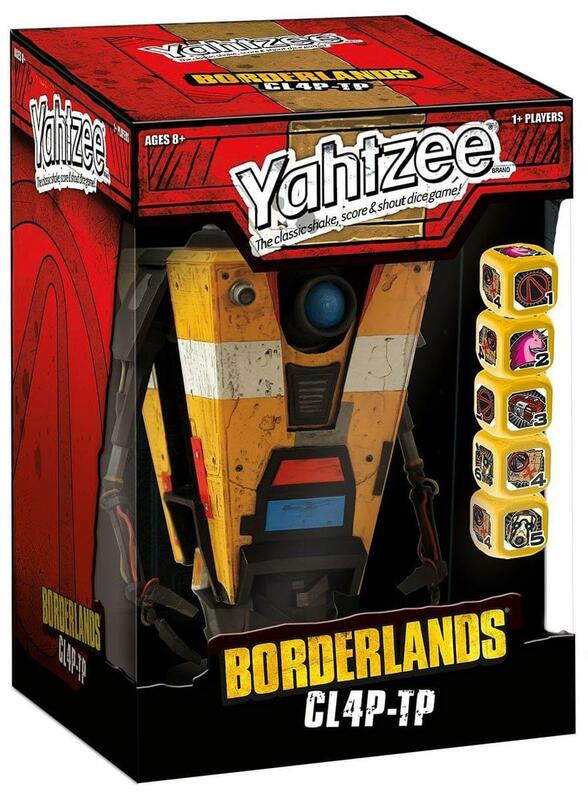 Play the classic game of Yahtzee with your very own custom Clap Trap robot dice shaker cup. Includes 5 Custom dice featuring Borderlands icons. Highly collectible and a perfect gift for Borderlands fans. Officially Licensed. For 2 or more players.